2. Enter the Email Code from the confirmation email into the Email Verification form. 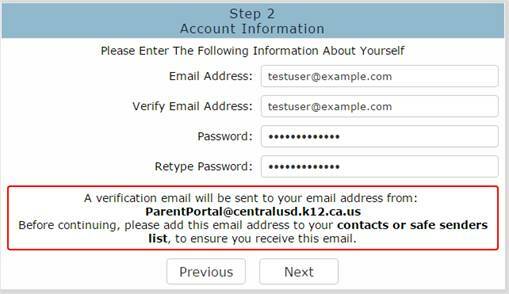 Once you have confirmed your email address, return to the Parent Portal login page and log in to the system using the same email address and password from Step 2 above. 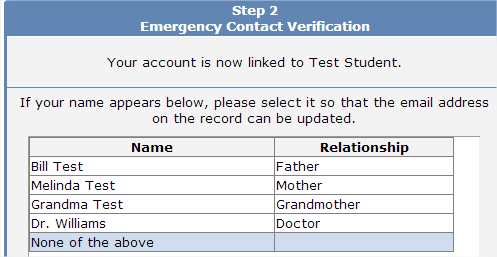 If you have never linked your Parent Portal account with student data, you will be prompted to do so at first login. 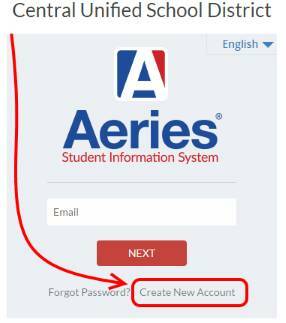 If you already have a student on your account, and need to add another student select 'Change Student -> Add New Student to Your Account' from the Parent Portal menu bar. If you need a new copy of your student’s Parent Portal Letter, you can obtain a copy at the school office, or request that the site mail a new copy to the student’s verified mailing address. For student safety and per district policy information from the Parent Portal letter cannot be faxed, emailed, or give out over the phone.